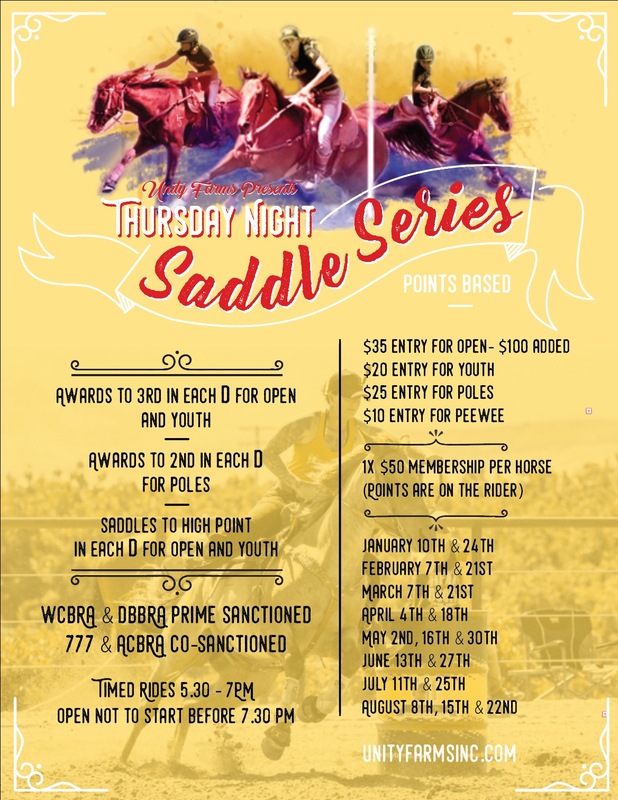 Additional Information / Event Location: 1X $50 MEMBERSHIP PER HORSE. (POINTS ARE ON THE RIDER). AWARDS TO 3RD IN EACH D FOR OPEN AND YOUTH. AWARDS TO 2ND IN EACH D FOR POLES. SADDLES TO HIGH POINT IN EACH D FOR OPEN AND YOUTH. $20 ENTRY FOR YOUTH. $25 ENTRY FOR POLES. $10 ENTRY FOR PEEWEE.